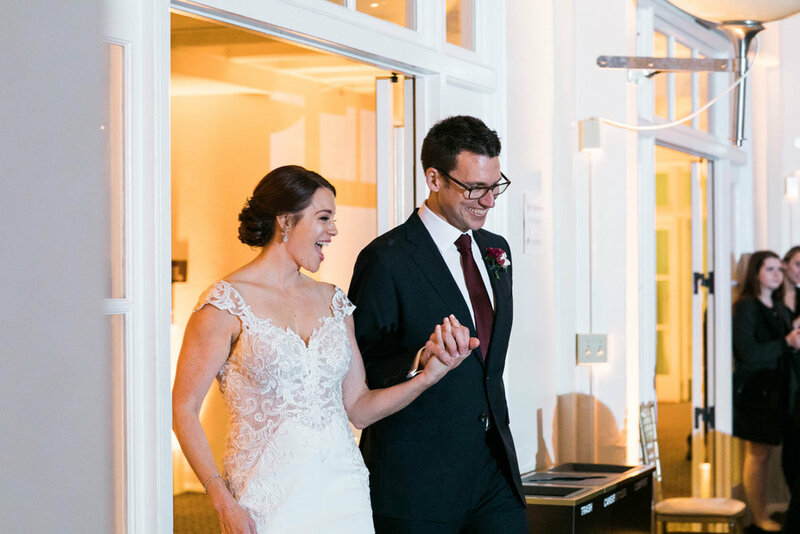 Catherine and Dustin are two of the sweetest people you can imagine, so it didn't surprise us to learn one of their top priorities for their wedding was creating an event that felt warm and welcoming. The majority of their guests traveled, some to San Francisco for the first time, and many from as far as Australia. 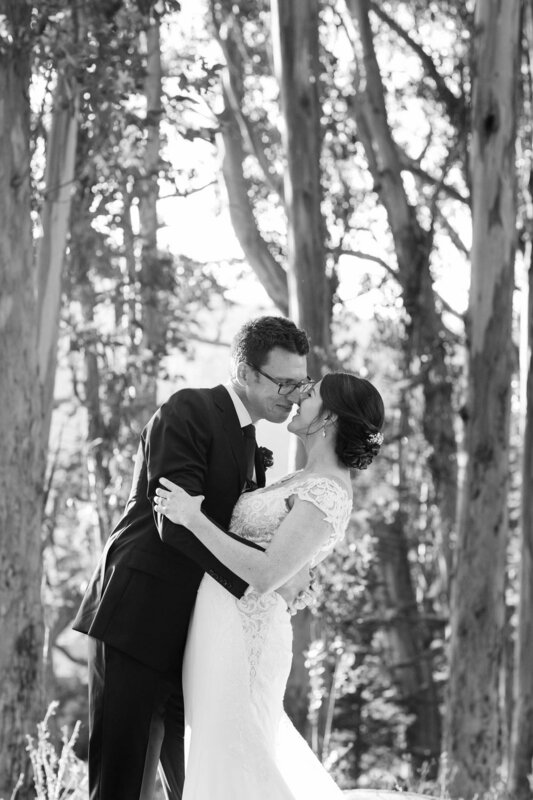 They loved the idea of sharing the city with them: the natural beauty of the Presidio, tall trees, ocean views, and with luck, a bright blue sky. 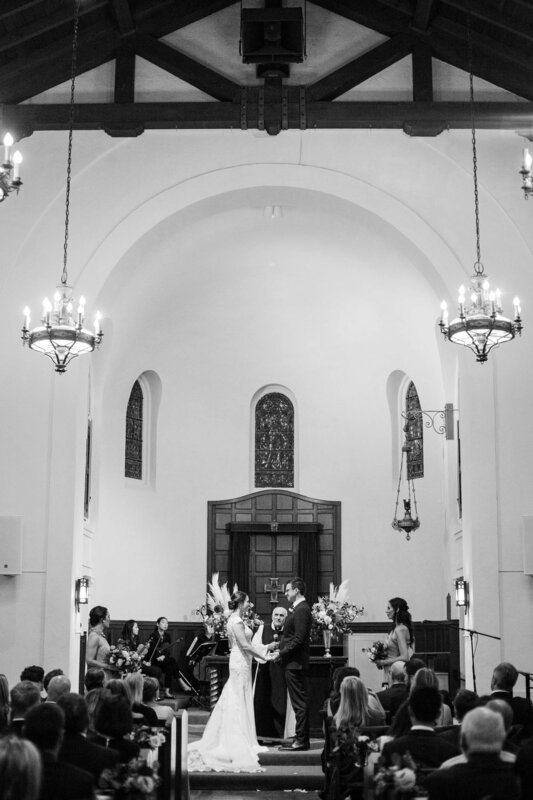 While their guests filled the Presidio Chapel on the hill above the Golden Gate Club, they kept their bridal party small, choosing to have just their sisters with them at the alter. The day was absolutely bursting with loving, joyful moments between family and friends.